Inspired by the partial eclipse of the sun in 2015. Hand-dyed silk cotton mix. 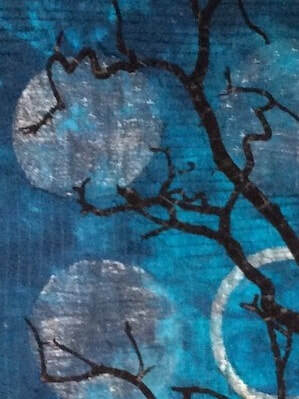 Painted with acrylic fabric paints. Free motion quilted. Hand appliqued and hand embellished. 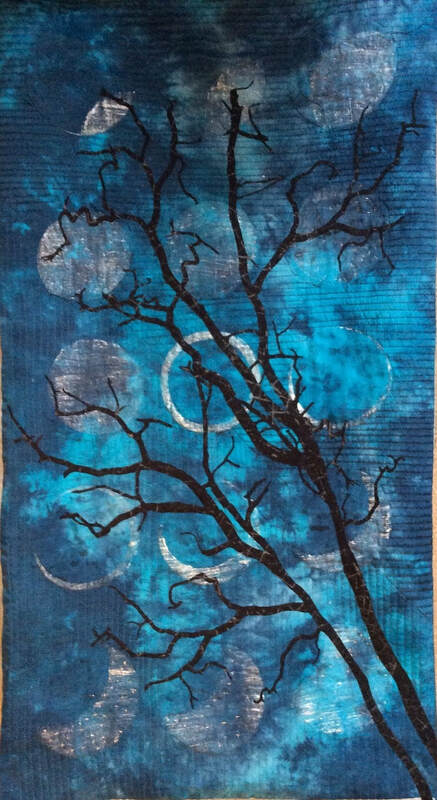 ​Exhibited at Festival of Quilts 2015 and then on tour to UK venues. Also exhibited at Quiltkoping, Lidkoping Sweden 2018.